The Lions, following up a suggestion by Bob Marjanovich, a Team 1040 radio personality, are turning Marjanovich into a special emissary during Super Bowl week. He’ll present a No. 57 Lions jersey, and a letter of encouragement from GM Wally Buono, to Brigance who wore that numeral when he played in B.C. from 1991-93. He was twice a CFL West Division all-star. Brigance touched many people during his time in the CFL, including many Lions' fans (see Beamish's piece for more on that), and he's clearly still making a substantial impact on the Ravens. He's also doing tremendous work to improve the lives of those with ALS through his Brigance Brigade. It's great to see CFL types reaching out to him during this difficult battle. His story's well worth thinking about in the lead-up to Super Bowl Sunday, and his football career on both sides of the border should be remembered as well as the amazing work he's still doing with the Ravens. 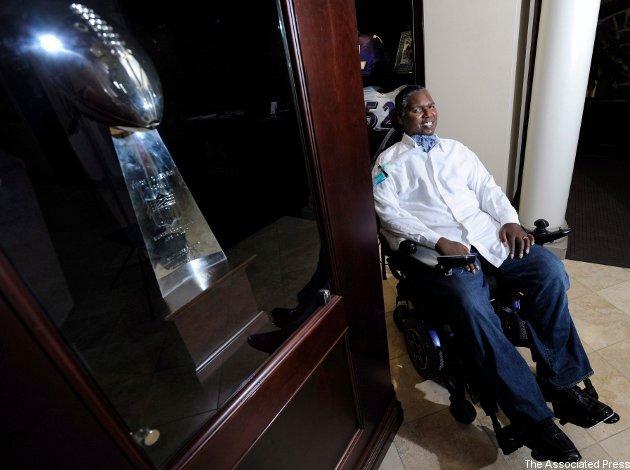 Most importantly, though, Brigance serves as both an example of how devastating ALS can be and an example of how much those hit with it can still do to lead and inspire.